Finding a Kahr TP45 holster won’t be an issue - there are so many ordinary holsters out there for a full-size service gun. Finding a Kahr TP45 concealed carry holster, on the other hand, can be a bit more difficult. Until you come across Alien Gear. Concealment in comfort is our specialty. Every one of our Kahr TP45 gun holster models functions perfectly as a concealed or open carry system. 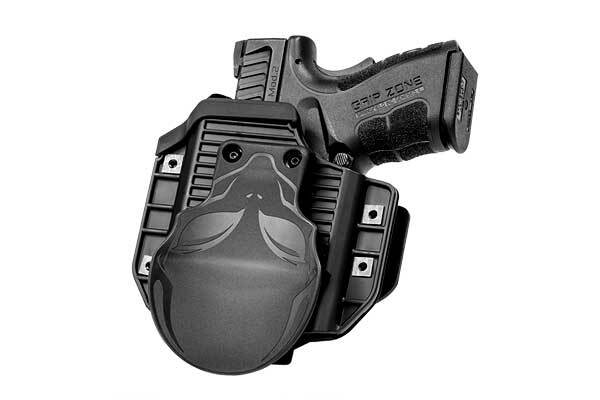 All Alien Gear holsters come with our adjustable custom molded retention shells, which lets you set the retention force. 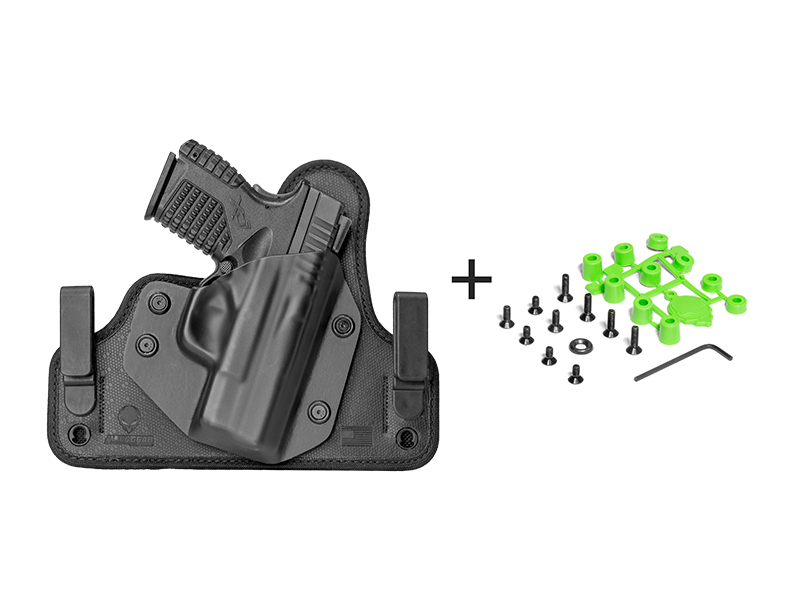 You can create the draw you want, not what the holster system sets for you. 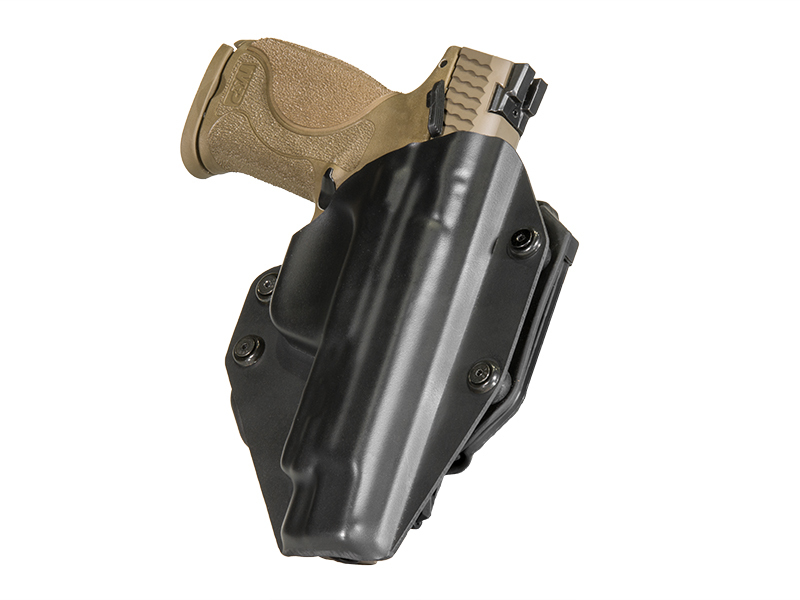 Alien Gear’s Cloak Tuck series is our line of Kahr TP45 IWB holster models. 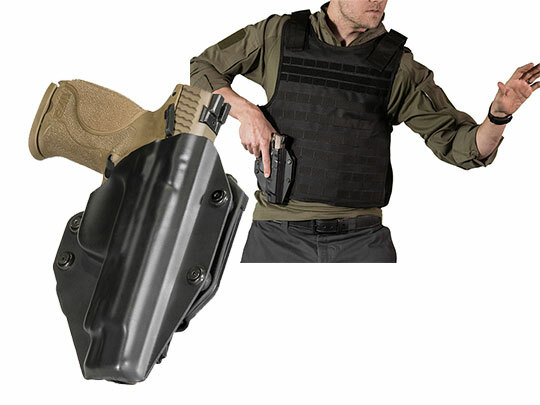 You can choose either a classic leather holster - the original Cloak Tuck - or the ultra-modern Cloak Tuck 3.0. The 3.0 features a spring steel core for strength and durability, a neoprene backing for comfort and to keep moisture out, and our Alien Skin surface. 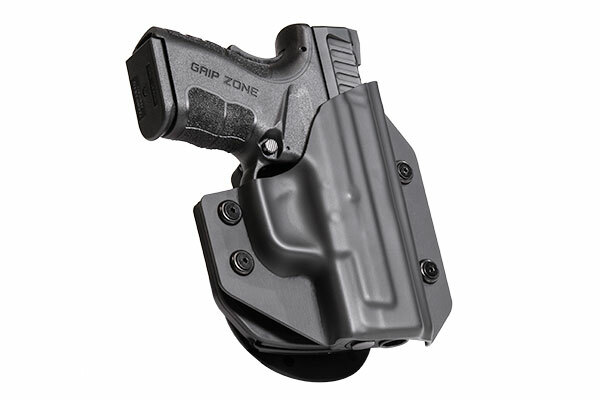 If Outside the waistband is your preference, then there is the Cloak Slide OWB holster. The Cloak Slide and the Cloak Tuck are both made from high-quality, heavy-duty leather, and can be had in either black or tan. Regardless of the model you select, you can rest easy knowing that your Alien Gear holster comes with an Iron Clad guarantee. For starters, you get a 30-day Test Drive period to see if the holster is going to work out for you. If unsatisfied, return for a full refund. You also get free shell swaps for life, so you can trade out the retention shell for a different model if you replace your gun. Lastly, we guarantee every holster for life, because we stand by the products we make. That’s the Alien Gear difference.